When a tragic collision of two high-speed trains in Wenzhou, China, resulted in the deaths of 40 people in 2011, the public became furious over railway authorities’ negligence, and grew weary of using the system. Years later, the authorities have marched on with their high-speed rail ambitions. 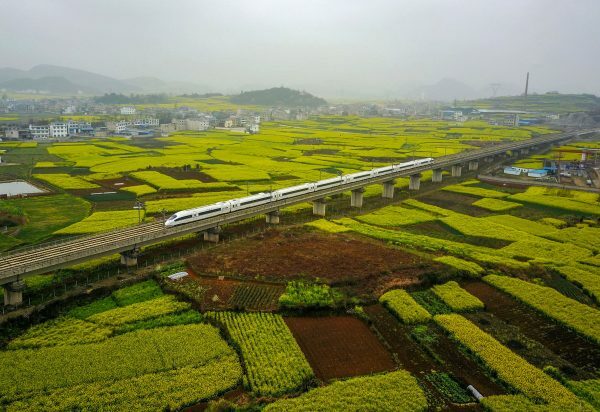 In December last year, China opened a high-speed rail line from Shanghai to Kunming, traversing 2,252 kilometers (about 1400 miles) to go from the eastern coastal city to the southwestern reaches of the country in 11 hours. Within less than a year of operation, the rail line has recently been exposed for shoddy construction. The news was first revealed on Nov. 13 via a post on Weibo, China’s equivalent to Twitter. A Chinese news website that covers happenings in Guizhou Province published internal documents from China Railway, a state-owned company that operates China’s passenger and freight railways and is under the purview of the Chinese Communist Party’s (CCP) bureaucracy. The post revealed that a section of the Shanghai-Kunming rail line in Guizhou had faulty tunnel design and construction, resulting in severe water leakage that posed safety concerns. Trains had to run at 70 kilometers per hour, instead of the originally designed speed of 300 km, to avoid accidents. In June and July, more than 100 trains were delayed in the area as a result. China Railway’s subsidiary units cut corners during construction and illegally subcontracted work. Meanwhile, a company contracted to inspect the project was found to be negligent in making proper assessments, according to the post, which was deleted soon after it was published. 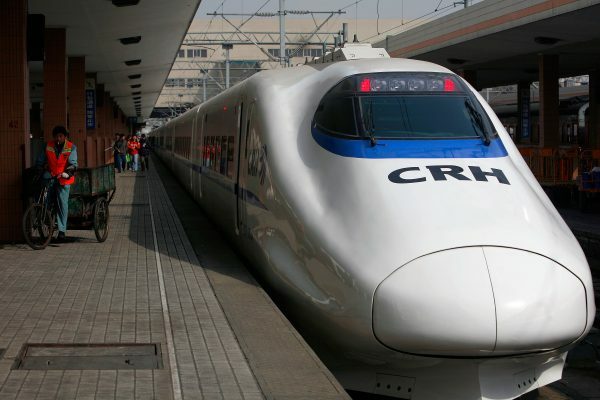 Two days later, the CCP’s National Railway Administration confirmed the news in an announcement that it would penalize the relevant subsidiary units and the contracted company with fines. This is not the first time the rail line has encountered quality issues. In 2012, a section in Hunan Province was revealed to have used domestic-made materials, though authorities had initially promised it would use German-imported materials. The domestic materials had started to disintegrate and did not meet the CCP’s own standards enacted by the Ministry of Railways. The ministry was known for rampant corruption. Its head between 2003 and 2011 was Liu Zhijun, who embezzled millions of dollars, bribed powerful officials to gain promotion, and led the ministry into accruing a debt of 2.66 trillion yuan—according to state media reports. Liu had risen through the ranks at the ministry with the political patronage of former CCP leader Jiang Zemin. It was Liu who ensured Jiang would have a special train car for himself whenever he traveled around the country. After current leader Xi Jinping took power in 2012, he dissolved the railway ministry in March 2013, and dispersed its duties to the Ministry of Transport. Rail construction and management would come under the newly established China Railway. In 2012, Liu was expelled from the Party under charges of corruption. A year later, he was given a suspended death sentence by Chinese court. China Railway is still struggling financially. Up until the first half of 2017, it has accrued a debt of 4.77 trillion yuan, according to state media, citing numbers from its financial report. 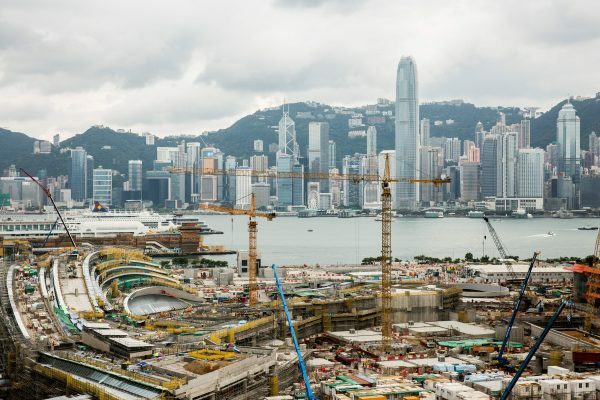 After news of the shoddy construction in Guizhou emerged, Hong Kong residents became concerned about their local high-speed rails. In 2015, Hong Kong’s Mass Transit Railway had ordered 93 new urban train cars from a Chinese state-owned manufacturer, Qingdao Sifang (which is a subsidiary of China Railway). This is the same manufacturer who made the trains that collided in Wenzhou in 2011. Earlier Qingdao Sifang models purchased by Hong Kong in 2012 were found to have failed collision tests under European Union standards. The company also supplied trains to Singapore in 2016, which were found to have safety problems like passenger windows shattering and a power supply battery exploding during repair. 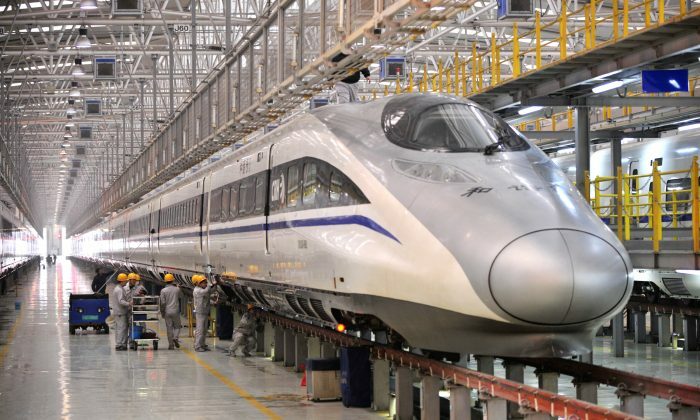 Despite these concerns, China has plans to continue exporting its high-speed rails abroad, such as to Russia, Thailand, Indonesia, and Libya, according to reports by Caixin, a Chinese business publication, and South China Morning Post, a Hong Kong newspaper. But the projects have stalled due to local regulations, high costs, and changing political climates—such as in the case of Libya and the civil war that broke out in 2011. Wang Jianyu and Liang Zhen contributed to this report.